The unlimited data wars are hotting up - Virgin Media has joined the party in trying to get everyone on the internet when out and about. The new Premiere tariff from the media provider offers 2500 minutes and unlimited texts and data too - and starts from £21 per month on a two year deal (although it's up to £26 per month for those not on Virgin Media's plan). 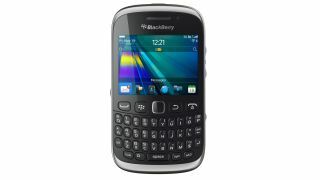 The phones available include the BlackBerry Curve 9320 and the Samsung Galaxy Ace Plus - and come with three months' Spotify use on the Android range as well. Keep rolling, rolling, rolling, rolling, come on! This deal is also available on a SIM only monthly-rolling deal, starting at £20 a month for Virgin Media customers and £25 for all others, undercutting/matching the current industry cheapest from Three's The One Plan and with more minutes. T-Mobile has also gone with the unlimited theme on its Full Monty Plan, which comes in at £31 a month for a SIM only deal - although this is a 12 month option, and a similar rolling plan is offered for £26 a month with fewer minutes and texts. We're still waiting to hear back on the full range of phones on offer with the Premiere line up, and more importantly learning if tethering is supported. Either way - is this enough to entice you onto one of the smaller networks?